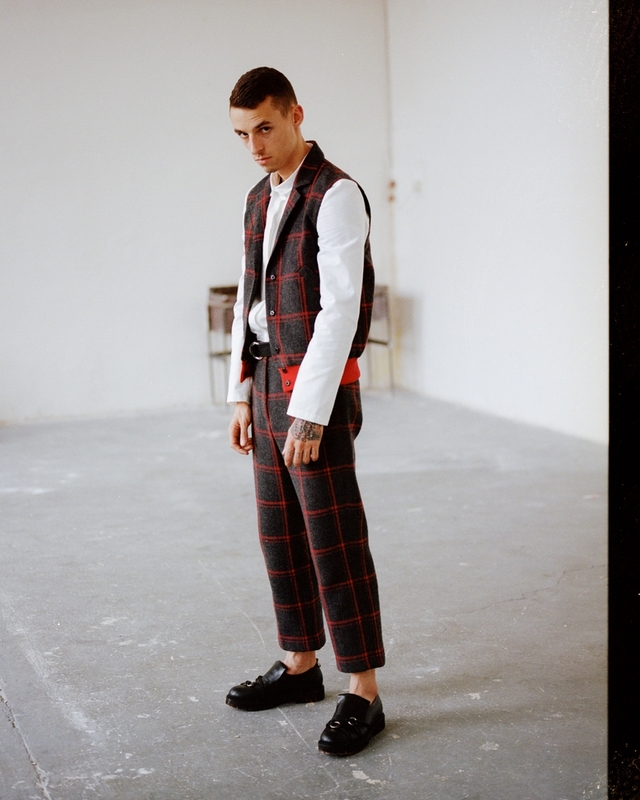 Adam Kost has been a student of UMPRUM atelier of fashion and footwear design since 2015. Just before starting the university, he became the finalist of MBPFW 2013 start-up show with his collection Continuous nothigness. In 2017, he presented a womenswear collection inspired by the reflexion of north-American Indian Culture in modern-day clothing, as a part of contest VAN GRAAF Junior Talent 2017. The same year, he also took part in the Bata Young Designers Challenge competition, where he won at the menswear category with his Straight Black shoe. The winning design was on sale in Bata stores around the world. First made prototype of this design was sold on auction for seven thousand dollars. Adam's collections are designed for men with high demands on quality and a personal approach. "The keystones are: perfect cut, a clearly defined silhouette and a unique work with patterned materials", says the author. Adam Kost often mixes contrast elements which he combines into a harmonic whole.